This workshop is for dance professionals and choreographers who wants to learn more on how to be an effective choreographer basing on a given group of dancers or music. However, it is presumed that the participant would have learned how to dance and have covered the basics of dancing. 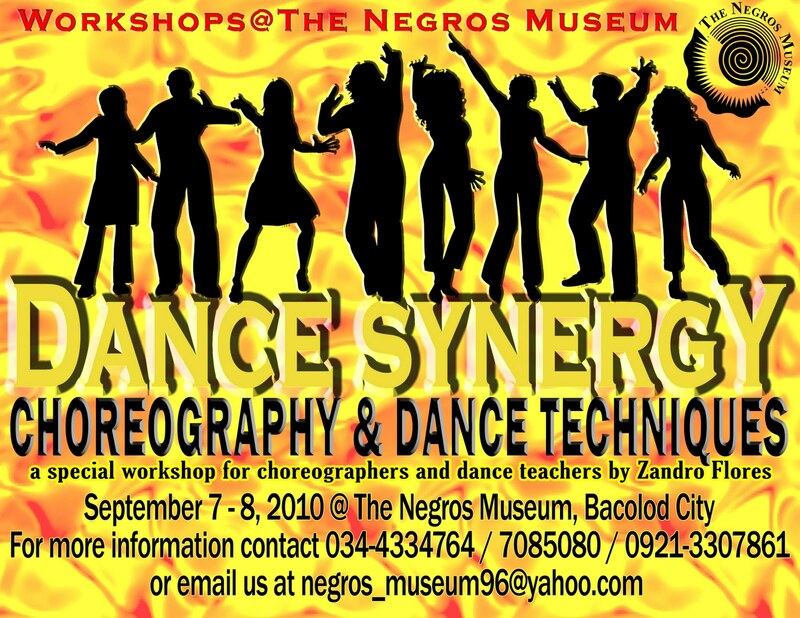 This specific dance workshop will not teach dancing per se but will enhance the participant’s knowledge with techniques shared by the resource person’s working experience throughout his 22 years as Choreographer and Artistic Director. This workshop values the learning process through “working”. So students are not just attending a typical sit-in seminar but, will be learning through actual presentation of work and critique from the resource person and the class. 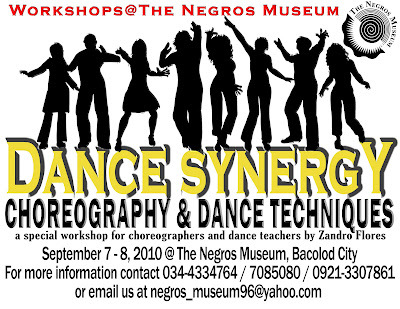 At the end of Day 2, the whole class shall mount a performance for an invited audience in the Negros Museum. This will also be their final evaluation and graduation activity. 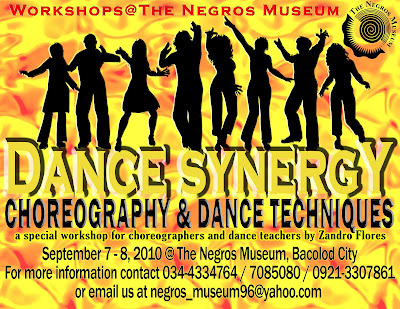 Participant must be a choreographer, teacher for dance or physical education, dance professional. 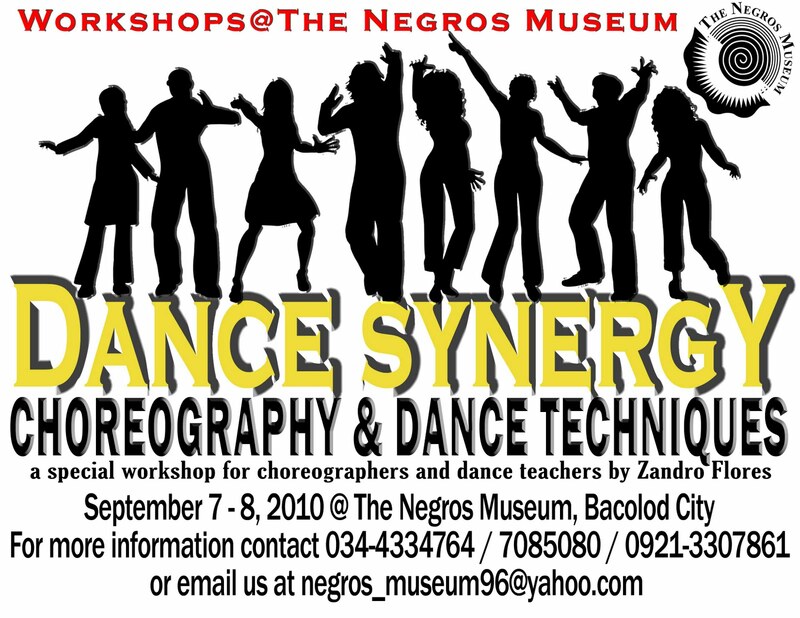 Registration fee is P 2,200.00 inclusive of snacks and lunch for 2 days. Workshop Kits will also be given. At the end of the workshop, the participant will be receiving a Certificate for his/her participation and attendance.